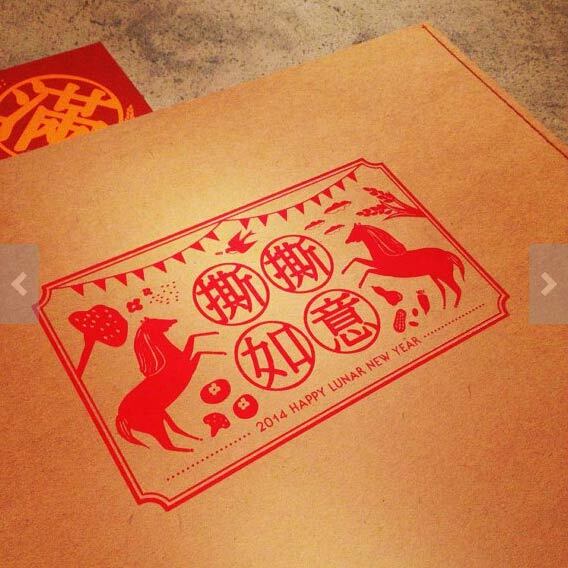 Do you give gifts for the Lunar New Year? I usually stick to just red envelopes for kids, but apparently someone’s buying stuff because luxury companies seem to be rolling out more and more products branded specifically for the Asian holiday. Here’s some of the more interesting, extravagant, and the just plain offensive. Godiva Year of the Horse chocolates. I received a set of these from a marketing agency, and they are delicious. 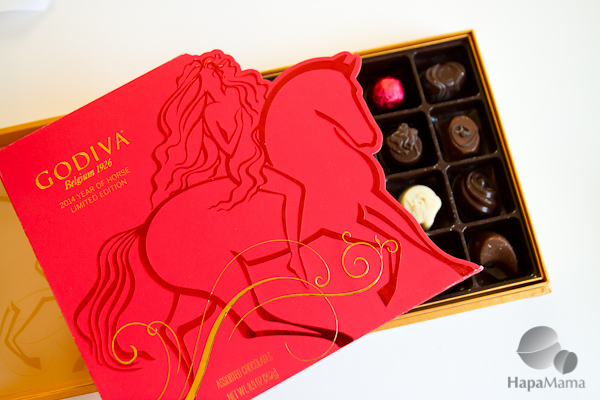 The red and gold horse-themed box contains a variety of filled chocolates, including some special horse designs with fillings such as cherry and chocolate, caramel pear, and — my favorite — pineapple and macadamia nut, which is reminiscent of the pineapple tarts served during the holiday in Malaysia and Singapore. Diane Von Furstenberg has a special Lucky Horse designs of her classic Julian wrap dress — available in both red and black. 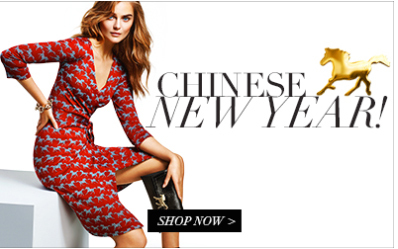 On the DVF website, there is also a sweater and a couple of clutch purses. At $395, I hope you can wear it for more than a year! Bloomingdales’ website has a special section for Chinese New Year gifts, including a horse-themed red and gold Longchamps bag. Again, the price tag practically tips $400. 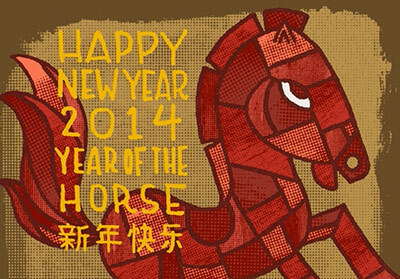 If you’re budget is a bit (or a lot) smaller, Starbuck’s is offering Year of the Horse gift cards. And if you never got around to sending out Christmas cards, some online retailers, such as Tiny Prints and Minted, have Year of the Horse photo cards. I also love items that present Chinese traditions with a pretty, vaguely early 20th century aesthetic, like these letterpress spring couplet banners and red envelopes, from the Taiwan-based Etsy seller Paperworkinc. H/T to Jen Wang of Disgrasian for pointing these out! For more thoughts from the experts about Lunar New Year merchandising, read Ringing in the Year of the Horse with Lunar New Year-themed gifts and greetings at The Cleveland Plain Dealer.